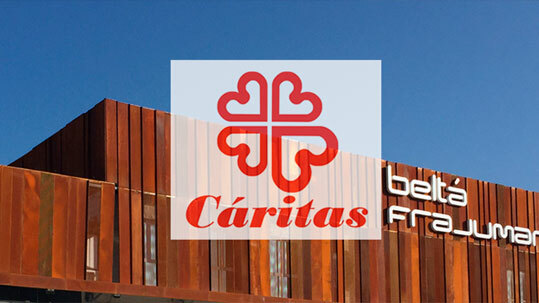 Frajumar collaborates with Caritas, helping to improve care for those most in need and social integration. This contribution materializes in participation within the Nazaret program, carried out within the municipal limits of Yecla. A program for the improvement of employability of young people in situations of, or at risk of social exclusion. The purpose of this program is to promote social-labour integration and improve the employability of young people in situations of, or at risk of social exclusion, enrolled in the Youth Guarantee System. This program works toward the training for the improvement in personal and working competence and the knowledge of new technologies.